I only learned about this product a few weeks ago. This is the only virtualization product that is currently available for Windows, Linux and Mac hosts that is also free and open source. It’s developed by a very large community and is backed by InnoTek. Products like this tend to go very far because they have a large developer base who are willing to put their personal time into the product and make it an even better product. I’m very interested in seeing how well VirtualBox performs compared to the two others I have reviewed previously. It’s got big shoes to fill after the Parallels review. Let’s see if it’s up to the challenge. Instead of installing Windows Vista and Fedora Core into VirtualBox like I did with the other two virtualization products. I decided that since I received my pressed copies of Ubuntu Linux 7.04 (Feisty Fawn) in the mail today, I would install it as a VirtualBox guest operating system. I feel as though I can still judge the product by how well Ubuntu performs in it. When you startup the application you are presented with a professional looking application. I like the fact that they don’t require you to go through a wizard before you even look at the software. I personally like to get my feet wet, have a look around and see what all I can do before I set up a virtual machine. Once you do decide to set up a virtual machine. Everything is fairly simple. The only points in the wizard that might concern some people are that you have to manually set up the virtual hard disk drive and it asks you which kernel the Linux distribution you are installing uses. Setting up the virtual drive is pretty simple with the “New Virtual Disk Wizard.” The Linux kernel can usually be found on the Linux distribution vendor’s website or by simply googling around. For Ubuntu Feisty Fawn, the kernel is 2.6 (I think and hope, that’s what I’m going to use at least!). Also, the wizard asks you to choose whether you want a dynamically expanding image or a fixed-size image. Dynamically expanding means that you give the virtual drive a size that it is allowed to reach, but, you won’t take up that much space on your host’s hard drive unless you actually do fill up the virtual hard drive. The fixed-size image pre-allocates the space you want for the virtual machine on the host machine. This option was available with the two other products I have reviewed previously but it wasn’t as apparent. The default in those applications was to use a dynamically expanding image. After setting up the guest machine I noticed in the details panel for the guest machine that a CD/DVD-ROM device was not mounted. In the previous products the host’s drive was mounted automatically. This isn’t necessarily a problem. In fact I guess it’s a good thing that you have to choose in case that drive is already in use. 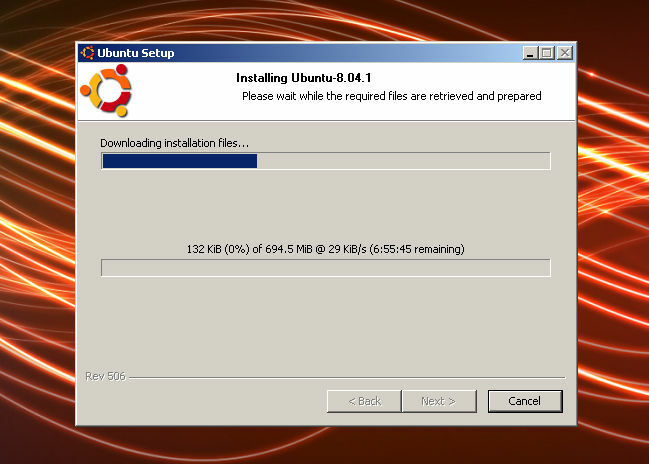 The way the latest versions of Ubuntu Linux work is that to install the operating system you now have to do it after you have started up the Live CD. For a Live CD running in a virtual machine, I think it ran pretty well. Let’s see how well it does after installing it directly into the virtual machine. Getting use to the way you unfocus your host’s keyboard and mouse is a lot different than all the virtual machine products I have ever used. With VirtualBox you have to press the down arrow and then press the right option key. You can’t do it quickly and you can’t do it very long either or it won’t take effect and release control back to the host. I’m not crazy about that, but I’ll get use to it. Once I got Ubuntu Linux installed into the virtual machine, which installed without any problems, the performance was really good. The menus and windows didn’t flicker when you opened or moved them. Applications opened pretty quickly. OpenOffice.org opened quickly, which is pretty impressive for OpenOffice, especially since it’s in a virtual machine. Usually I get extremely poor performance from OpenOffice in virtual machines which is why I normally install AbiWord into my Linux virtual machines. VirtualBox has their equivalent of VMware’s “VMware Tools” and Parallel’s “Parallels Tools.” Theirs is called “Guest Additions.” Unfortunately I was unable to install this set tools to gauge how much better the performance would get. However if you were able to install these additions you would get the added benefit of having shared folders and probably better video performance. Another cool feature that is available in VirtualBox is the ability to connect to your virtual machine remotely and control it. The feature is really nice because you can connect to the virtual machine from any machine on the network using RDP. VMware Server (for the PC) has a somewhat similar feature where you can install the VMware Server Client onto any machine on the network and connect to a virtual machine and work with it just as if you were at the console the virtual machine is running on. The VirtualBox feature is really nice because you can simply connect via an RDP client. I was disappointed with the screen resolution selection that was available to me in my guest machine. The highest resolution in Ubuntu 7.04 (Feisty Fawn) was 1024×768. When you make the guest machine full screen, it doesn’t actually go full screen, it doesn’t stretch out. It’s simply a 1024×768 window on a black background, which was annoying. VirtualBox has a way to backup your virtual machine’s current state and restore it at a later time. VirtualBox calls this Snapshots, as do VMware products. 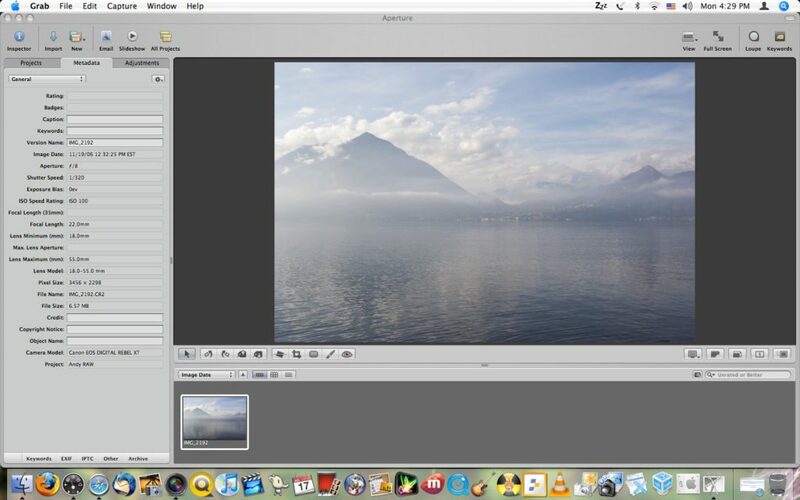 The only thing that sets Fusion and VirtualBox’s snapshot feature apart is that in VirtualBox you have the ability to give a description of the snapshot. Overall I am impressed with the performance and features of InnoTek Virtual Box. The performance wasn’t as impressive as it was with Parallel’s desktop but it was better than the performance I got with VMware Fusion. If you can’t afford the $79 price tag of Parallels then I highly recommend InnoTek VirtualBox. With the fact that they are releasing updates fairly frequently I believe the product will continue to get better. Article update: Wednesday, October 8, 2008: – I have been re-doing screen shots for all the articles on TechButter as you may have noticed. When I re-did the screen shots for this post I was unable to install Ubuntu into a virtual machine due to time constraints. VirtualBox has been acquired by Sun Microsystems. They have released several versions since the review above. Looking at the reviews around the net it looks as though the application is continuing to get even better. You’re probably asking yourself: “Is he really reviewing another virtualization product?” Yeah, I am. I guess it’s a virtualization review special on TechButter. Like I mentioned in the previous article I am reviewing these products because I am unable to run them on my iBook due to it’s limited resources. I realize there is a PC version of Parallels but I want to see how well the Mac version performs since I get the opportunity to play with a brand new Intel iMac for a week. When you first launch the application you are presented with a wizard which gives you three choices. The first choice is “Windows Express.” The description for that option says “Install Windows XP or Windows Vista in fully automatic mode.” This option presumably is just like the option we found in Fusion when we installed Windows Vista. The other options are for “Typical” and “Custom” virtual machine configurations. Just like the other review, I will be installing Fedora Core 6 as well as Windows Vista. I want to compare the performance of the two products. 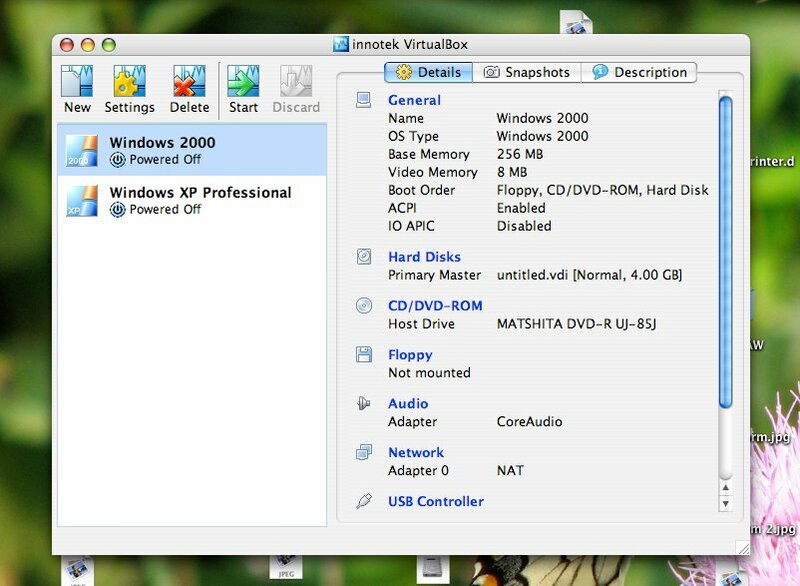 I’ve heard a lot of good things about the performance of Windows Vista using Parallels virtualization and that is what we are going to start with, Windows Vista. The settings wizard is a lot like every other virtualization product I have ever used. I suppose by now all of them are fairly standard in the configuration options. There was a neat effect when I started up the virtual machine, the screen flipped the settings window around and started up the virtual machine, as if the virtual machine were on the back side of that window. Just like with VMware’s Fusion, the installation of Vista in Parallels Desktop was successful without any problems and I didn’t have to answer any questions until I got to the Windows Vista desktop, where there was a dialog box saying that once Parallel Tools is installed, Vista will need to be rebooted. 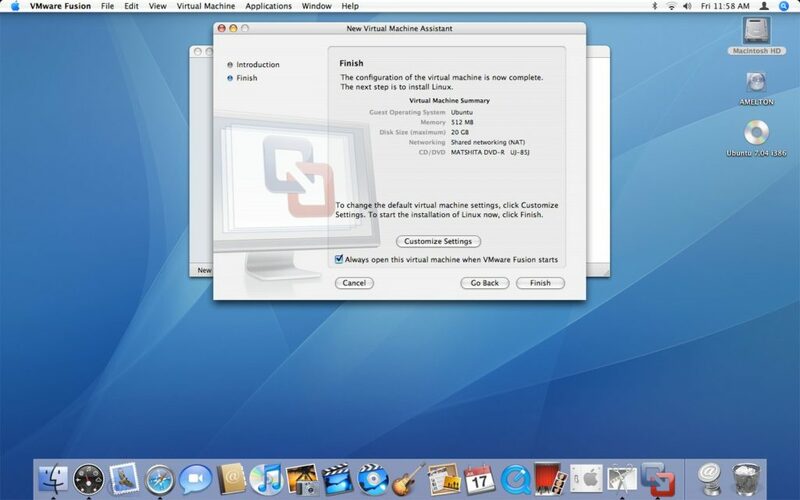 A good touch that the developers added to Parallels Desktop is that on the OS X dock there is a thumbnail of what is currently going on in the virtual machine. It’s not a major feature but it is definitely a nice touch. 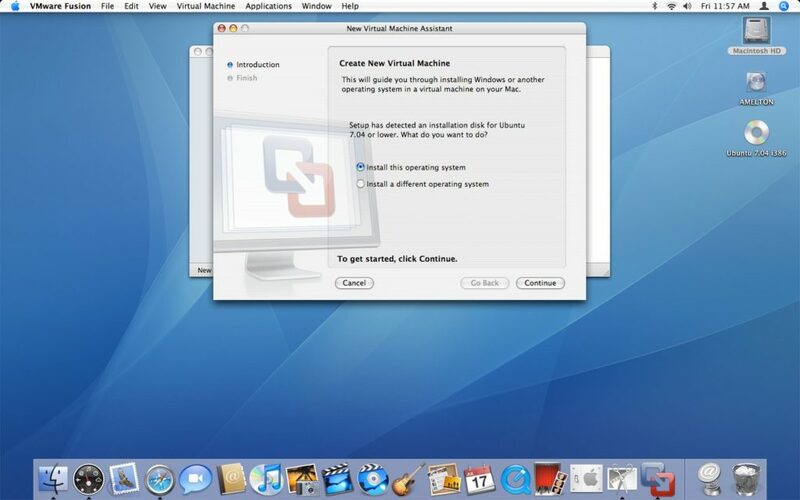 Once Parallel Tools was installed I noticed something that I did not notice when I installed Vista into VMware Fusion, when the system shutdown and rebooted the shutdown sound played and when the system restarted, the startup sound played as well. To me, this makes me think that the performance of Vista is going to be substantially better in Parallels than it was in Fusion. It most certainly appears that way. I decided to look at the settings for the virtual machine and noticed that you can adjust the virtual machine’s video memory. The maximum recommended amount of memory is 16 MB but you can take it up to 32 MB of RAM. Unfortunately 32 MB of RAM is not enough to use the Aero Glass feature of Windows Vista. Parallels has a cool feature called Coherence. When you activate Coherence the background and desktop icons in the virtual machine disappear, so do the Parallels application windows. The Windows Start Menu is then displayed on your OS X Desktop. You can launch applications in your Windows virtual machine by using the start menu on your OS X desktop instead of opening the virtual machine window and launching the application. The application still has Windows borders, but, if you need Windows applications but also need access to your Mac applications at the same time, this is a great feature. 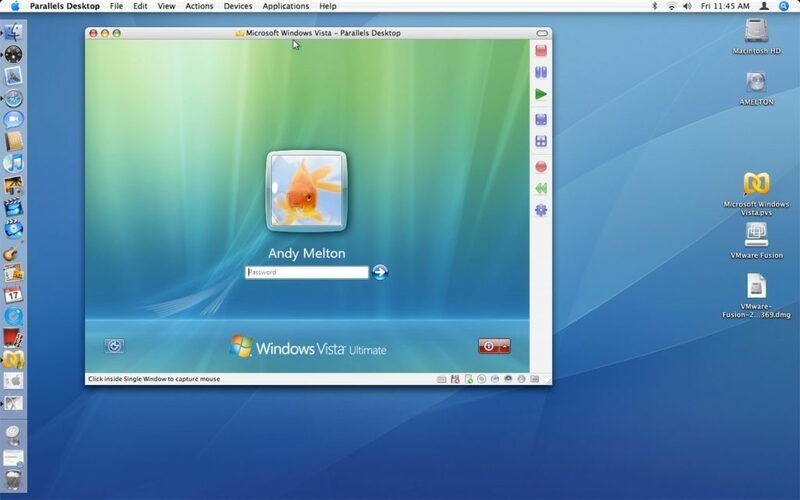 I have to say that I am extremely impressed with the performance of Windows Vista in Parallels over VMware Fusion. Although there are a lot of things that are sluggish, like starting a slideshow or using Windows Media Player, the operating system itself is actually pretty usable. 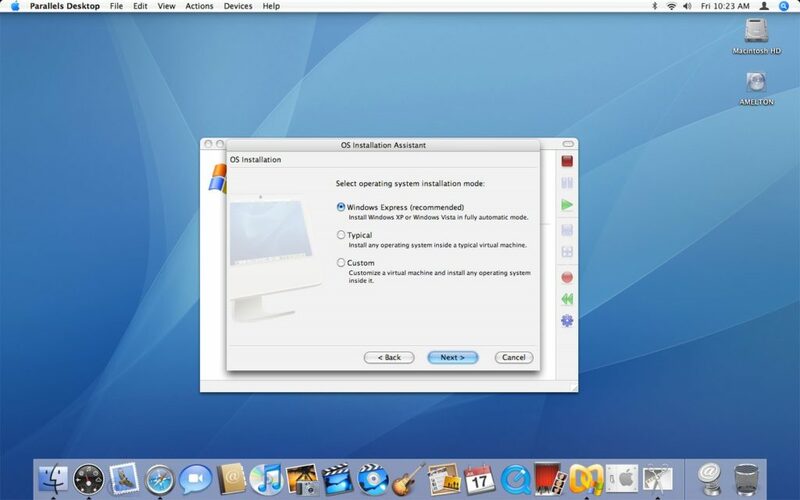 When I had Vista installed into VMware Fusion I was unable to play with the Windows Media Center feature. 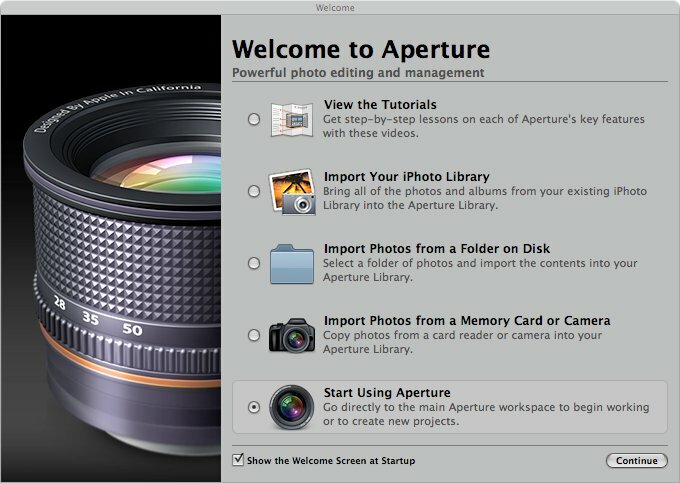 I am able to in this installation in Parallels. Another great feature of Parallels Desktop is that they have bundled Kaspersky Internet Security into their product. If you install a Windows virtual machine this will allow you to be keep your Windows virtual machine protected from outside threats, that is, if you get online with your Windows virtual machine. 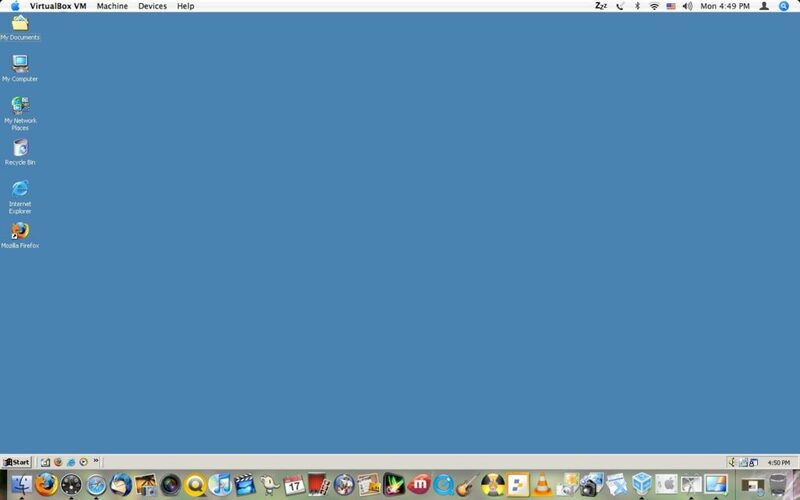 Unlike VMware Fusion you also have the ability to take screen shots of the running virtual machine. However, there is no video recording option available. However, like VMware Fusion you have the option to share files and folders between your virtual machine and your OS X host machine. If your virtual machine is growing in gigabytes you can use the Parallels Compressor to decrease the size of your virtual machines disk image. This runs disk cleanup and disk defragment utilities. Supposedly this can reduce the size of your virtual machine by 50%. A cool thing about Compressor is that it works with VMware Workstation, Microsoft Virtual PC and of course Parallels Desktop (both Mac and PC versions). Using this feature of Parallels Desktop my installation of Vista was reduced by several gigabytes. If you have the BootCamp drivers, you can install all of the integrated hardware of your Mac into your virtual machine, such as the built in iSight camera which comes standard on almost all of Apple’s new computers. After I had got tired of playing with Windows Vista I decided to install Fedora Core 6 into a virtual machine with Parallels. I immediately appreciated the fact that the Parallel’s developers felt as though Fedora was worth listing in their list of OS choices. Like I said in the VMware Fusion review, I know they can’t list them all, but, I believe Fedora is popular enough that it should be listed. When I got into the Fedora Core installation I was impressed that the Fedora Core installer detected the hard drive. If you remember from the VMware Fusion article and if you’ve read any of my tutorials in the past, you’ll know that I have always had to make sure to change the virtual machine’s hard drive from SCSI to IDE when using VMware products. Since Fedora Core was one of the options, I am absolutely certain that the Parallels developers made sure that everything would work. Once I had got Fedora installed I had problems with the display resolution. It worked immediately after installation but when I would reboot I would only come to a text based login screen. I made some changes to the XORG configuration file and finally got into the GUI. However, when I would reboot again I would only come back to the text based login so I had to modify the XORG configuration file every single time to get into the GUI. I re-installed Fedora three times and got this every time. I won’t blame Parallels nor will I blame Fedora since I honestly don’t know who is at fault. 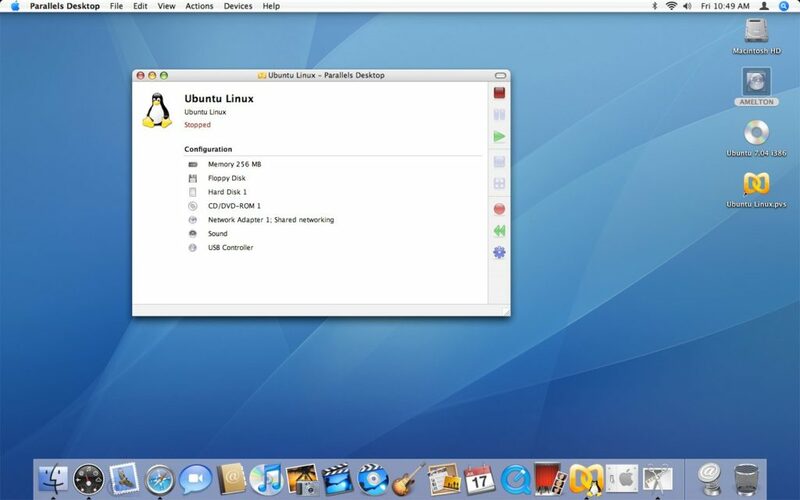 Even though I had problems getting into a graphical interface, the resolution that I was able to use was much higher than what I was able to use when I had Fedora installed into VMware Fusion. In Fusion the resolution would go no higher than 800×600, but in Parallels I was able to take the virtual machine into full screen mode using 1440×900, out of full screen mode the resolution would go well beyond that. The performance of Fedora in Parallels was amazing compared to the performance I got in Fusion. Menus and applications opened without stuttering and seemed to perform a whole lot better as well. When you would move a window around on the screen it was actually a clean move and without flickering. Another feature that I like in Parallels is the ability to clone an operating system. A similar feature is available in VMware Fusion and other VMware products called “Snapshots” which allow you to capture a guest machine in it’s current state and revert back to it at a later time. It’s basically the same thing in Parallels but I personally prefer the way Parallels has done it. During the cloning wizard you get to choose what to backup and where to back it up to. One of the only feature requests that I would make is that they integrate a way to make video screen recordings. This should be a standard feature, especially if you are paying for the product. 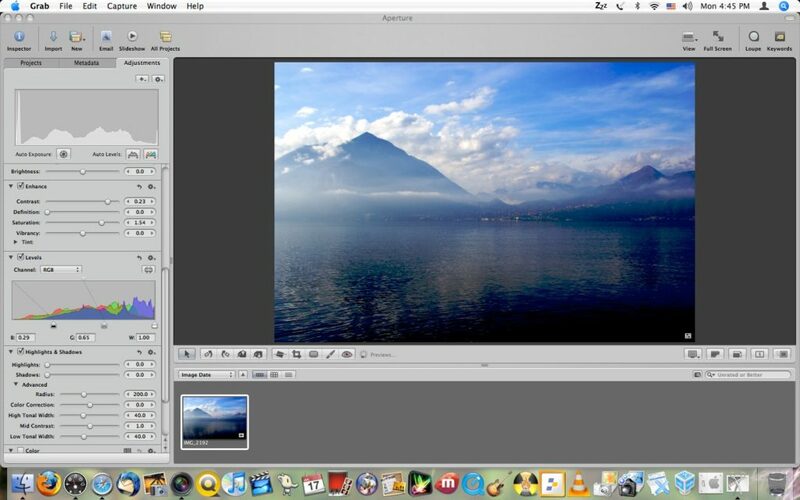 If you can’t already tell, I am extremely impressed with the quality of Parallels over VMware’s Fusion. I really do like VMware’s products, but seriously, Parallels has got them beat on performance. Although Parallels is $79 (for the Mac version) and VMware Fusion is free (for the moment), if you can spring for Parallels I would do it. They’ve put a lot of hard work into the application and it shows. Article update: Wednesday, October 11, 2008: I have updated this article with screen shots from the latest version of this product. 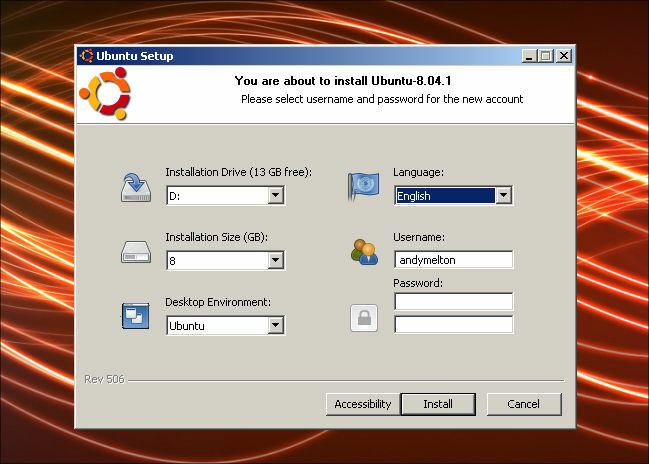 Please note that in the article I talk about installing Windows Vista but you are now seeing screen shots of a virtual machine running with Ubuntu 7.04 and only a Windows Vista login. I’ve been updating the screen shots on TechButter so that they look great with the new, wide theme. There is still no video recording option in Parallels. For an $80 application I think this is something that should be standard.